This one may ruffle some feathers. Richmond is crawling with upscale dining establishments, greasy diners and places in between, many of which serve delectable french fries alongside their burgers: also sandwiches, mussels and let's be honest, everything else on the menu, because what doesn't go with fries? Frankly it's hard to go wrong — at the end of the day you're looking at deep-fried potatoes sprinkled with salt and dipped into something delicious. And no matter how you slice it, we've got no fight with that. Some do reign supreme, however. A couple honorable mentions in the city include the hand-cut, double-fried fries at On the Rox, which for an extra $4 can be fried in duck fat and tossed in truffle oil, and the Belgian-style pommes frites at Max's on Broad, served in a paper cone with aioli on the side. 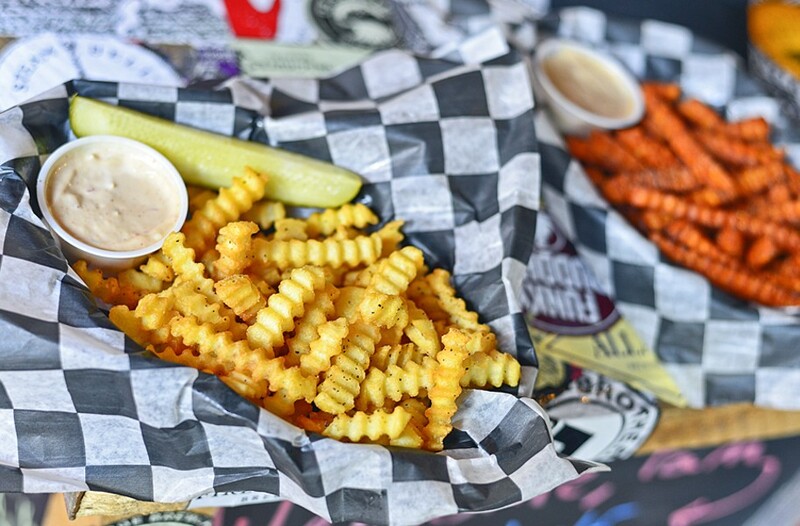 But the best in the city are the humble crinkle cut fries at Jack Brown's Beer and Burger Joint. Yukon gold and sweet potato are both on the menu — both are browned to perfection and you likely won't be disappointed with either, but the classic Yukon is where it's at. Crispy on the outside, lightly seasoned and served with a side of creamy dipping sauce — the recipe is top secret, so we can only assume that it's mayo-and-ketchup based — these fries check all the boxes. And whatever burger you order off the menu won't be ginormous, so you can really go to town on those french fries without worrying about stuffing yourself silly.